The International Slalom Skateboarding Association (ISSA) is founded to promote, advance and assist in any way possible slalom skateboarding. At the heart of the sport is racing and racing events. For interested race event organizers or promoters, the ISSA would like to make available resources to help make the event as competitive, well organized and enjoyable as possible for all participants and spectators. 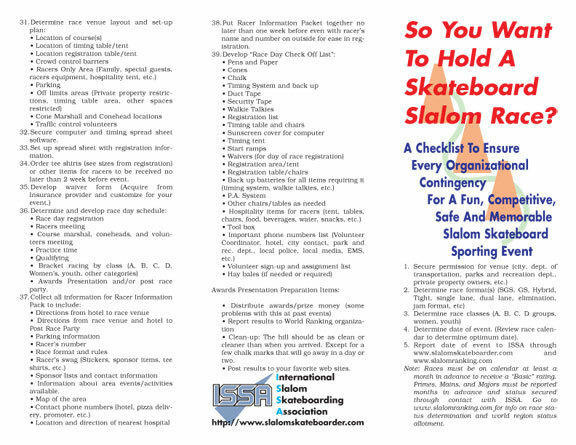 Following are documents and marketing materials to aid in marketing, coordinating, scheduling and facilitating a slalom skateboard race. 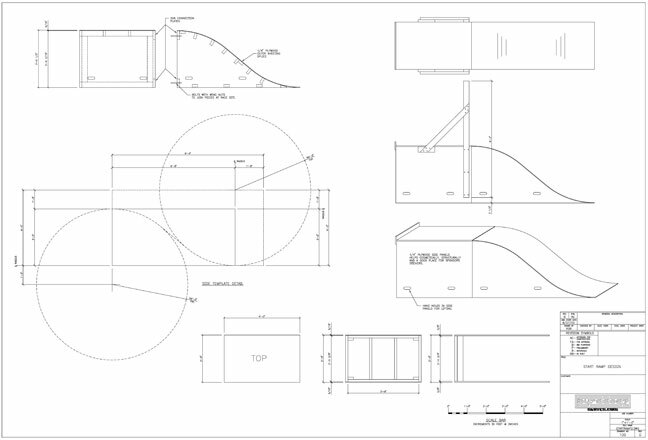 Please download these materials and use for planning and managing the event. 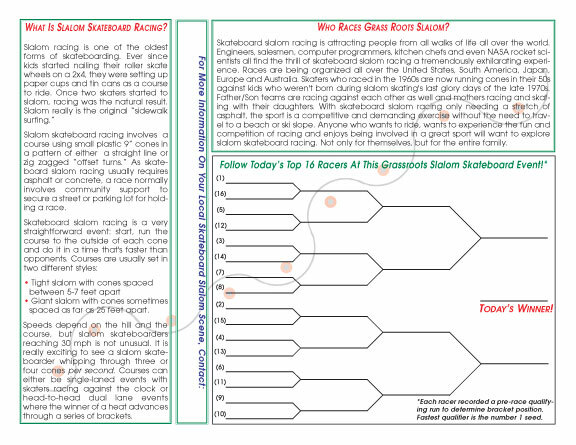 Also, any slalom race is eligible to apply for ISSA sanctioning. An ISSA sanction will mean the race will receive recognition as an ISSA slalom world-ranking event. 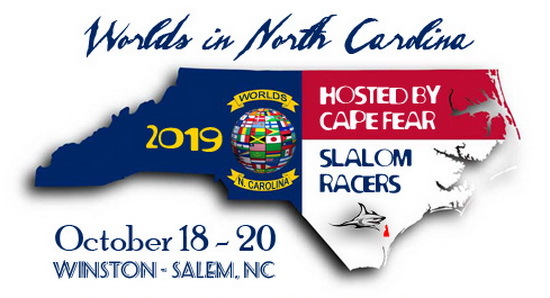 Participants will earn points toward individual rankings both for the country where racers' reside and for ranking of racers around the world. 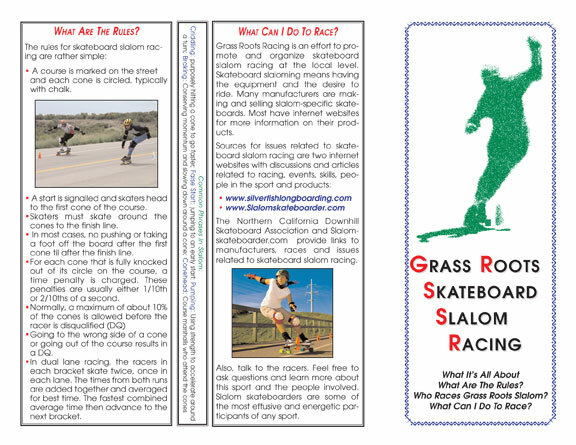 The ISSA recognizes five classes of slalom skateboarders: Pro men, Open men, Women, Jr. Boys and Jr. Girls. Sanctions are granted at five levels: Major, Main, Prime, Basic and Plain. If interested, download the ISSA Sanction Application document and submit to the ranking marshals. Last edited by Jani Soderhall on Tue Feb 22, 2011 11:04 pm, edited 1 time in total. Just needs rework, so anyone grab a piece and help out! 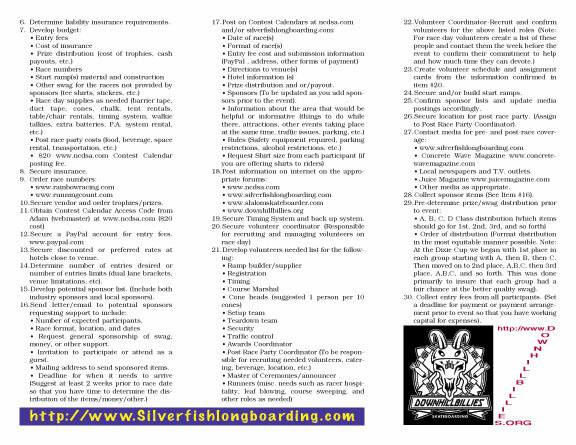 The rules and bylaws are currently being reedited by Jonathan, following a few 2011 decisions by the BOD.